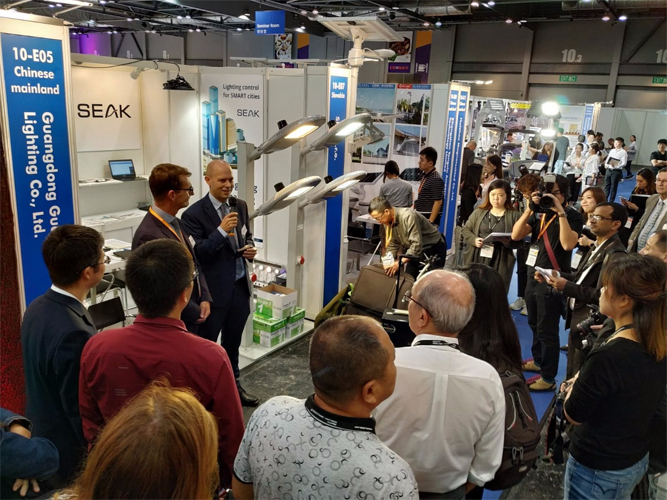 After witnessing the Hong Kong International Lighting Fair (Autumn Edition) 2018 and Hong Kong International Outdoor & Tech Light Expo 2018, Subhajit Roy reports on what’s going on in the lighting world today. 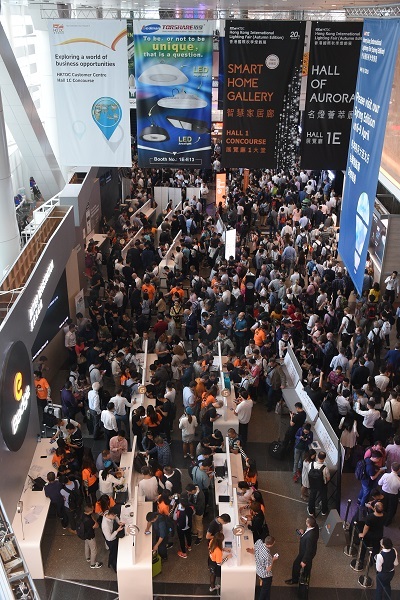 The 20th Hong Kong International Lighting Fair (Autumn Edition) and the 3rd Hong Kong International Outdoor and Tech Light Expo, organised by the Hong Kong Trade Development Council (HKTDC), attracted more than 44,600 visitors and over 13,600 buyers respectively. 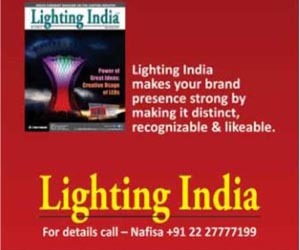 Gathering more than 3,100 exhibitors, the twin lighting fairs formed the world’s largest lighting marketplace. 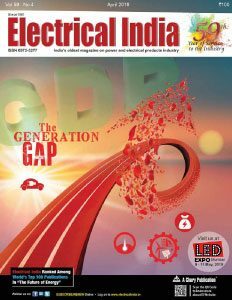 He also noted that based on an on-site survey conducted at the Autumn Lighting Fair, the industry in general is cautiously optimistic about the business outlook for next year, while smart city and smart home trends will continue to drive the development of the lighting industry. As Internet of Things (IoT) technology continues to gain momentum, it is driving the development of both the smart city and smart home. 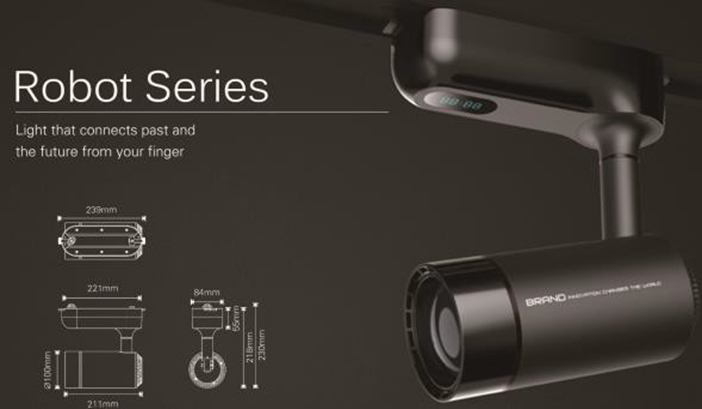 The Smart Home Gallery made its debut at the Autumn Lighting Fair to showcase smart lighting products from Opple, Philips and Tuya, as well as a smart platform from Jingxun (a partner of Tmall Genie AI Union) and Yeelight (a Xiaomi EcoSystem company). The Smart Lighting & Solutions Zone featured an array of lighting designs, software, management systems and smart lighting design solutions. The fair also featured a Smart Lighting Development Forum, where industry experts discussed the latest developments in smart home lighting and IoT technology. 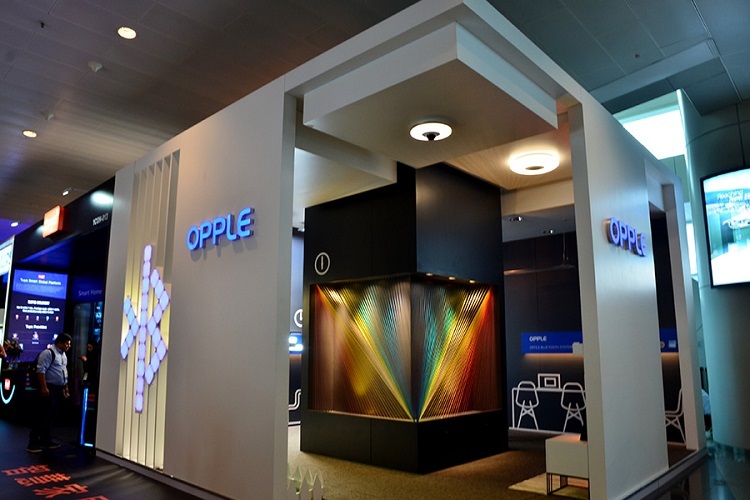 Opple demonstrated the application of two core technologies – Bluetooth, smart control system in scenarios including office, home, shopping mall, industry and outdoor, bringing the human lighting concept to our customer. During the four-day exhibition, OPPLE booth received many professional visitors and overseas customers. Qi Xiaoming, Chief Technology Officer of Opple Lighting, delivered a speech on ‘Smart Lighting and Lighting Ecosystem’ at the exhibition forum. 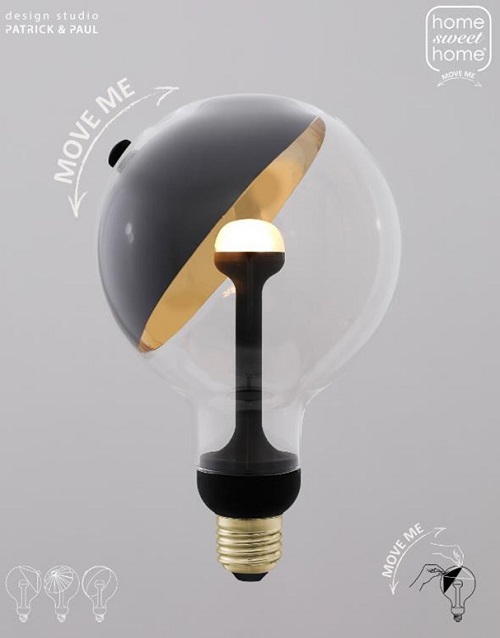 Developed and designed by Netherlands’ Patrick Zulauf and Paul Besselink, ‘Move ME LED Bulb’ has a moveable diffuser and reflector. 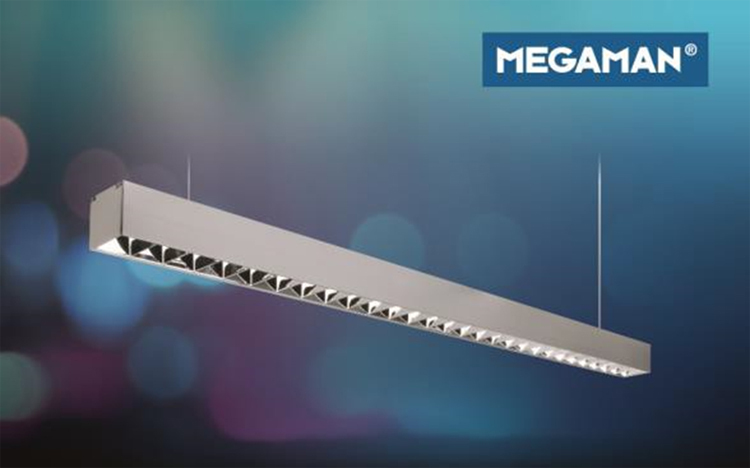 With this invention, a new typology of the LED bulb comes to market with multiplicity variants of movable reflectors or diffusers that direct or divide the light and accentuate the space. This works perfectly for all situations as table, floor, wall, ceiling and pendant luminaire. The product can be used directly in any E27/E26 socket with 240/120 volt. • Louvre cells for continuous line of light, making junction invisible. 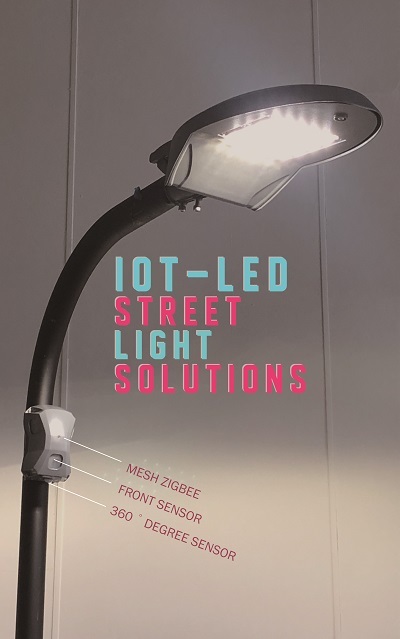  Through IoT technology, achieve remarkable streetlighting energy savings by up to 90 per cent without sacrificing road safety in a comfortable manner.  Smart streetlight solutions with integrated wireless sensor for presence-based monitoring and control of outdoor lighting applications. “On-Demand” streetlight solutions that lighting levels adjust based on the presence of pedestrians, bicycles and cars. Philips Lighting displayed Philips Hue that combines brilliant and energy-efficient LED light with intuitive technology. Together, the light, the bridge and the smart controls is expected to change the way you control and experience light. • Control your Hue system wherever you are, with any smart device on hand. • Set brightness, change colours, create timers etc. • Hue also offers an out-of-home control for your peace of mind. 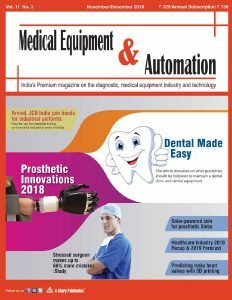 Magtech Industries Corporation displayed its autonomous LED track light that is networked using Lynxus wireless technologies which can be individually or group controlled using smart APP. The user can control these lights to make it turn 355-degree horizontally, 90-degree vertically when the front zooming lens can travel 30mm giving a beam angle from 15-degree to 60-degree. And, there are more – it is colour tunable from 2400K to 6300K. All of these at the push of one control button. Outdoor media got a prominence at this year’s International Outdoor & Tech Light Expo. Visual Idea Limited demonstrated its transparent LED wall and flexible LED screen during the expo. 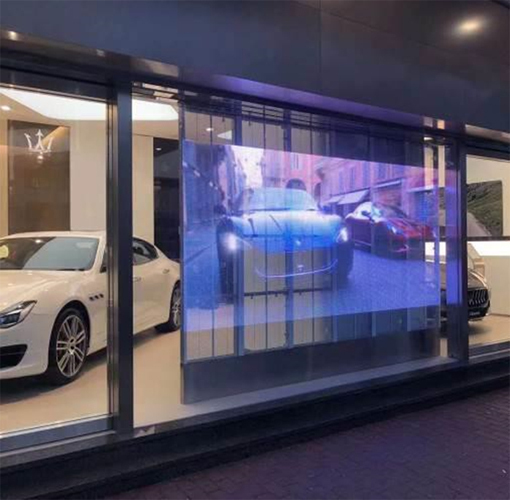 It is a transparent LED wall and flexible LED screen with high transmittance and strong perspective. The installation is easy, making it suitable for shop and building exterior decoration and promotion, stage visual effects and arts installation, etc. Slovak Republic’s SEAK s.r.o. 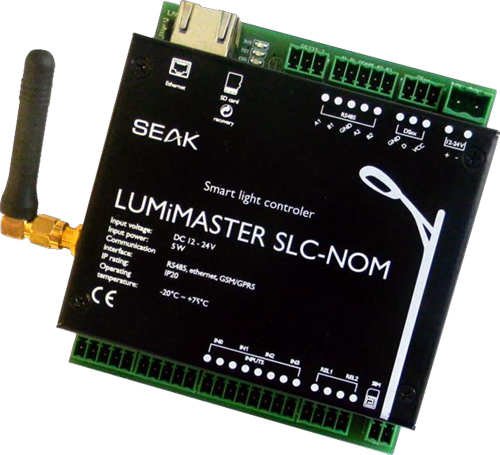 demonstrated its smart light controller – LUMiMASTER SLCNOM. It enables autonomous, local and remote management of lighting. This unit in connection with the SLM modulation units, LUMiNODE SDM-DIG communication nodes and two-way DALI certified ballasts offers the view of their status. Meanwhile, the 13th Eco Expo Asia, jointly organised by the HKTDC and Messe Frankfurt (HK) Ltd, and co-organised by the Environment Bureau of the HKSAR Government, featured nearly 340 exhibitors and attracted more than 14,800 buyers. 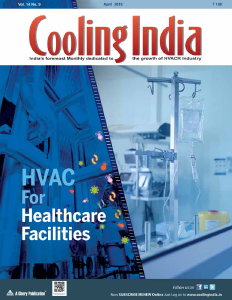 These fairs offered a one-stop sourcing platform and synergy to provide more cross-industry business opportunities. The three parallel fairs concluded with a record number of over 73,000 buyers from 154 countries and regions – an increase of 6 per cent on last year’s attendance.